This two-stage, $10.9 Million development completely replaced the Deanmore Primary School, which was originally constructed in the 1960s. 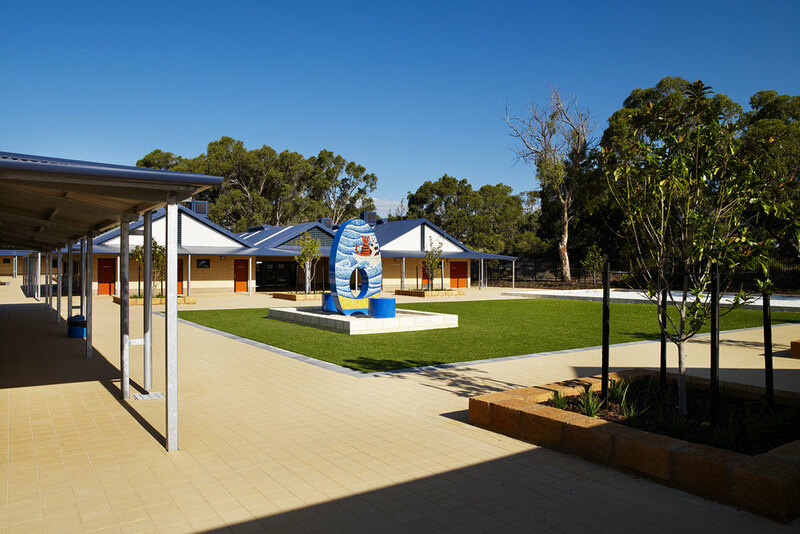 The first stage, completed in November 2010, involved constructing new school buildings on the adjacent sporting field, including four learning blocks, a covered assembly area, an early childhood centre, administration building and library facility. 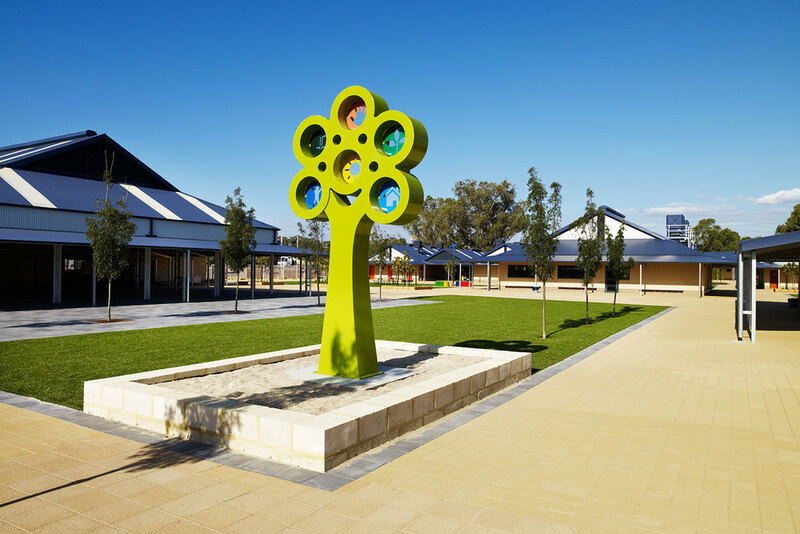 A mixture of external finishes complement the new buildings, including extensive landscaped and planted areas, turfed areas (both artificial and natural), and extensive hardstands and brick paving. The second stage, completed in August 2011, involved demolishing and removing the old school facility, and introducing new football fields, cricket nets and hard courts.